Do you want to watch a recorded video or a photo taken from your smartphone on a larger screen? You do not have to search for any cables or a bigger smartphone with a big screen, because all you need is this HDMI dongle. Amazon is currently selling it for just under $16 with free shipping depending on the country you are importing it into. But there are other options. 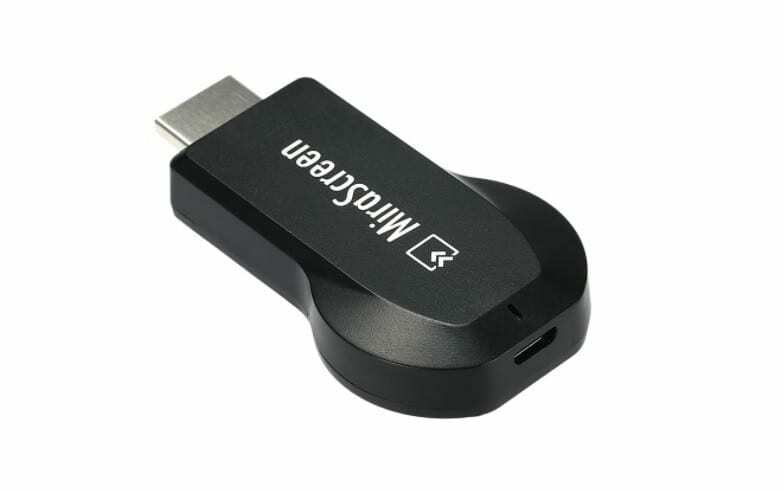 The MiraScreen dongle consists of a compact and plastic body that has an HDMI connector to connect to a compatible display device, such as a monitor or a television, and almost completely use it. The actual mirroring of the smartphone display is via Wi-Fi connectivity and has several minor deficiencies because it does not understand both the YouTube application and Netflix. Supported standards include AirPlay, Miracast, and DLNA. Output resolution reaches Full HD. In addition, an external Wi-Fi antenna to improve the signal should be included in the package.